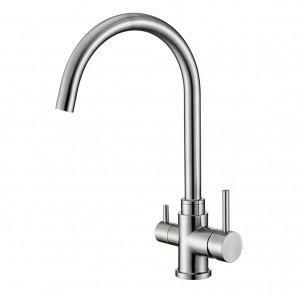 The Ares Inox is a high quality brushed 3 Way Tap which has no metal (lead content). Most 3 way taps have brass components which often contain a tiny trace of lead, which the Inox cleverly avoids by providing separate internal channels for the purified water which are from a non-leaching high-grade polypropylene. 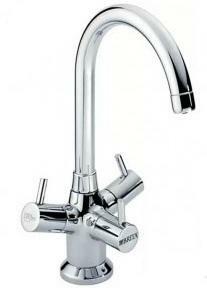 The tap has two handles making it easy to mix hot and cold from the right side, and the left handle dedicated to dispensing the filtered water. 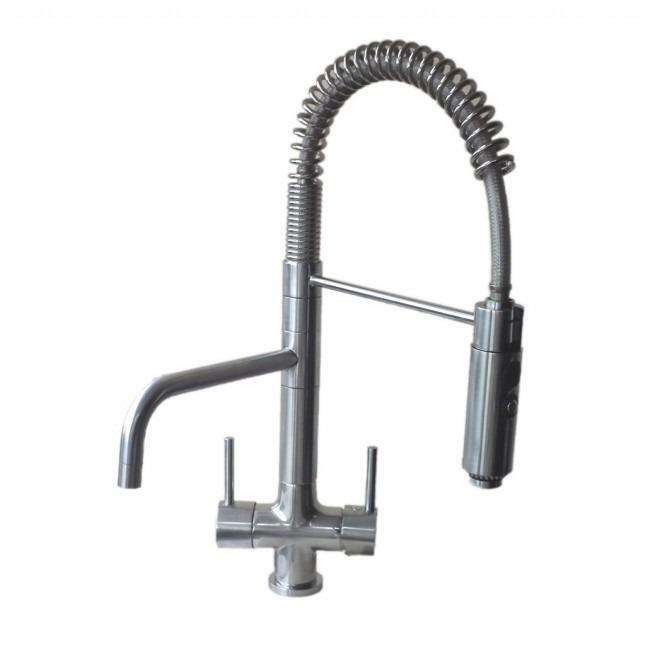 Having 3 distinct connections, the tap is also suitable for use without a filter system, for example if you just want to use it with a water softener and have hard water connected with softened hot and cold. 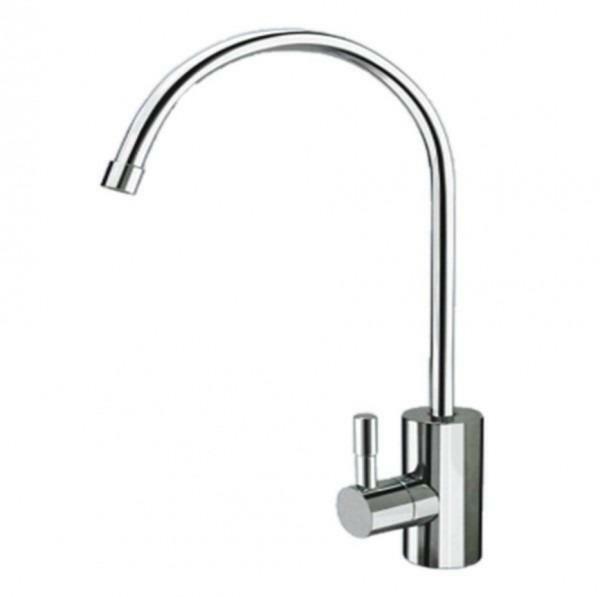 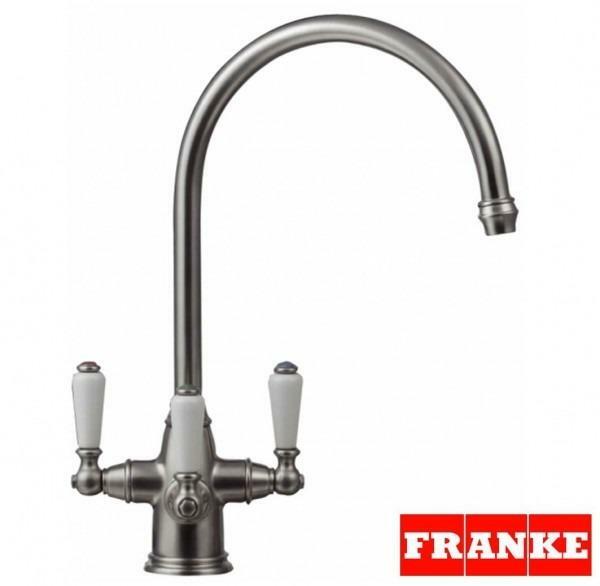 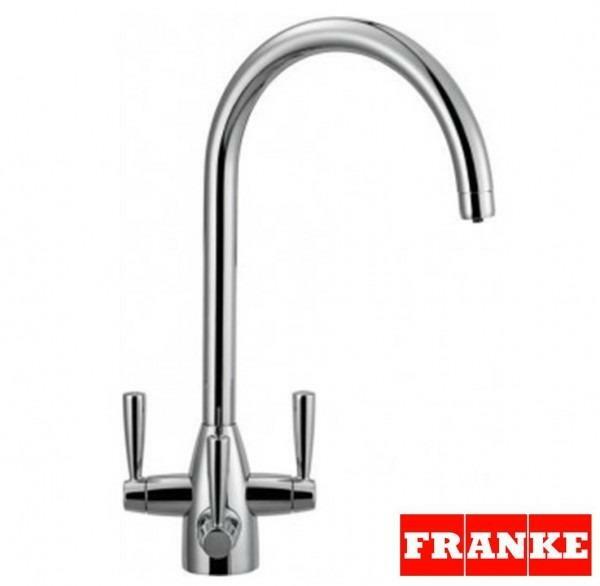 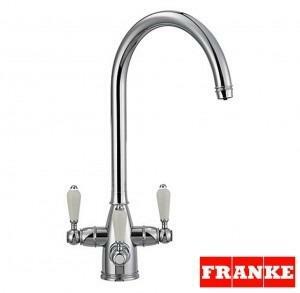 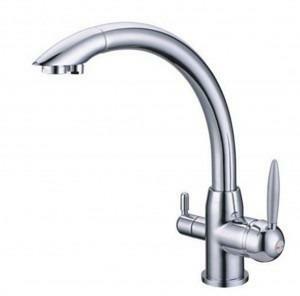 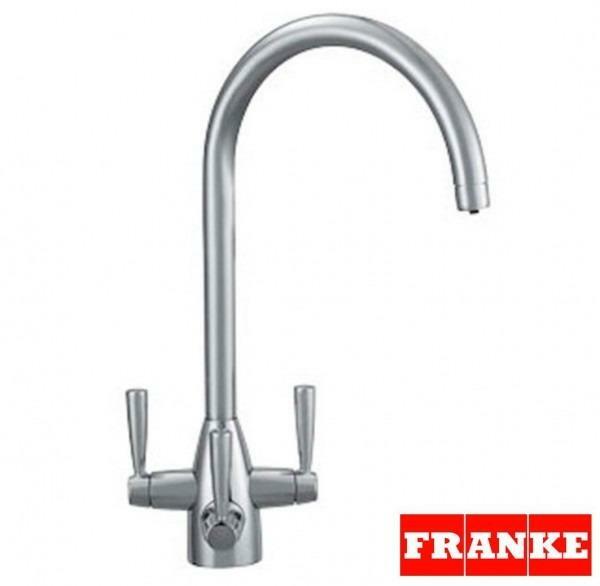 This tap oozes with both quality and elegance, making a beautiful and functional addition to your kitchen with the convenience of supplying your filtered water at the turn of a lever. 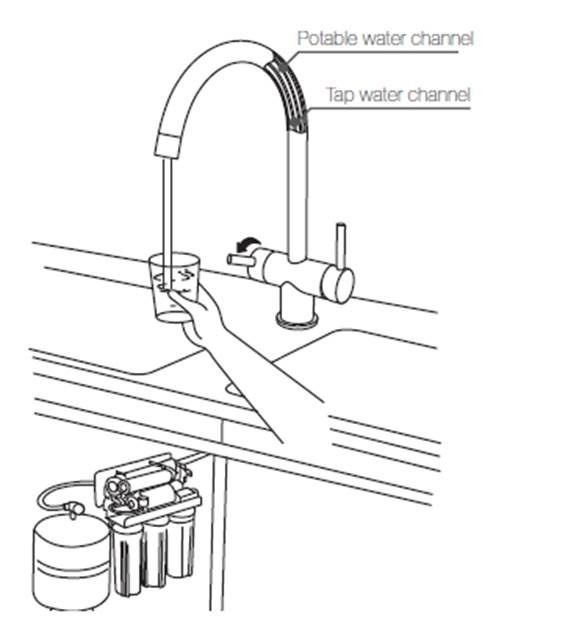 If you do not want to connet to a filter system and just want a straight connection to a hard water feed (this is especially when you have a point of entry water softener installed), then you should also order this kit with your tap - 3 way tap stem conversion kit, which will enable you to easily get on 1/2". 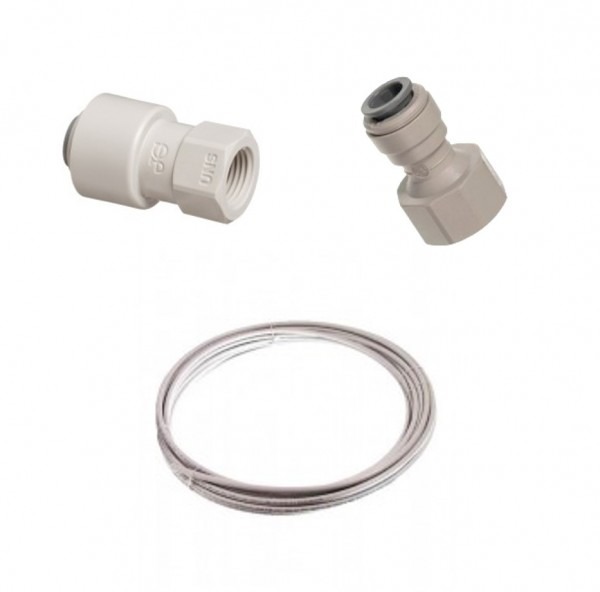 The kit consists of 7/16" UNS to 3/8" Pushf Fit, 2 metres of 3/8" Tubing and a 3/8" Push Fit to 1/2" Female Fitting - enabling you easily to get onto 1/2" male. 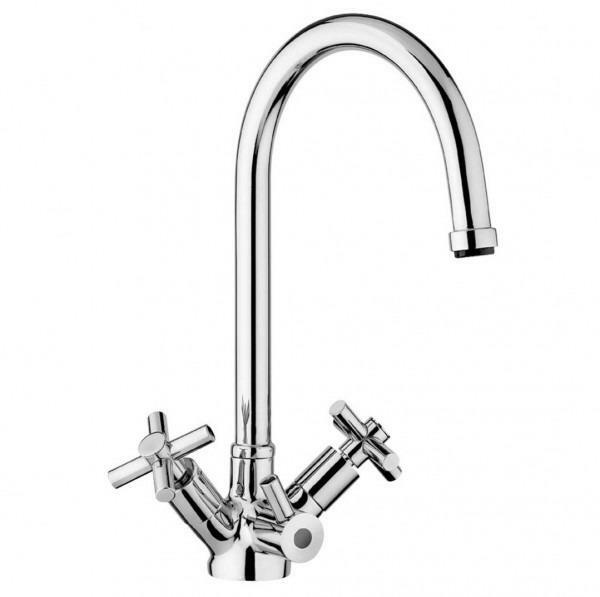 In-line systems offer a very user-friendly experience for someone having a specific issue with their water, whether this would be reducing chlorine in the water, or looking to remove scum on their hot drinks, we are highlighting two unique under sink kits to tackle common issues found in water. 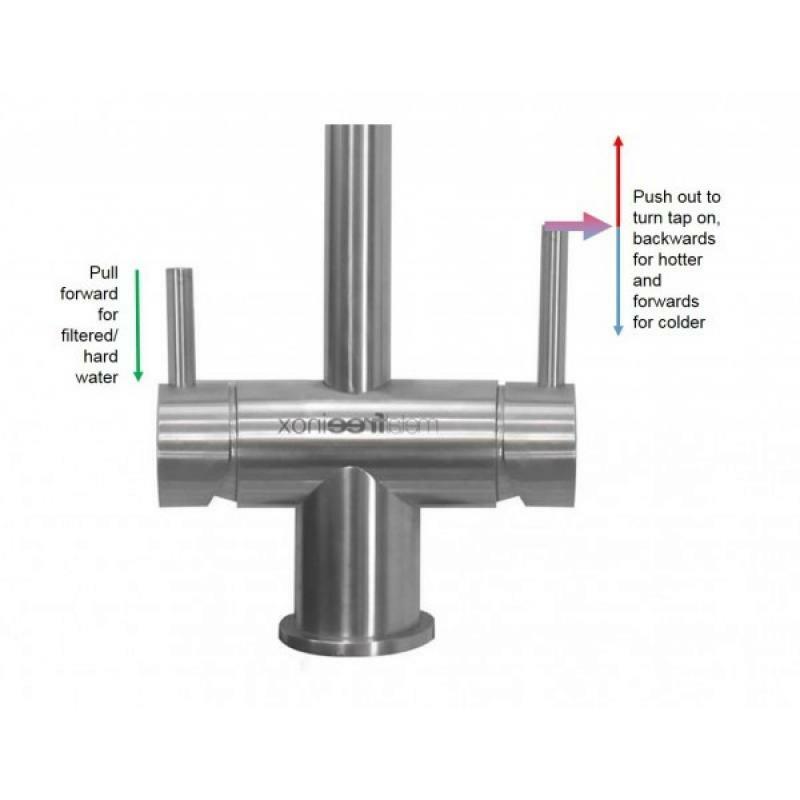 Osmio Ultra-Pure 3 Way Tap Filter Kit: A great but simple inline system which utilises a top-of-the-line carbon block filter cartridge for chlorine, taste, odour and sediment reduction whilst maintaining good pressure from incoming water. 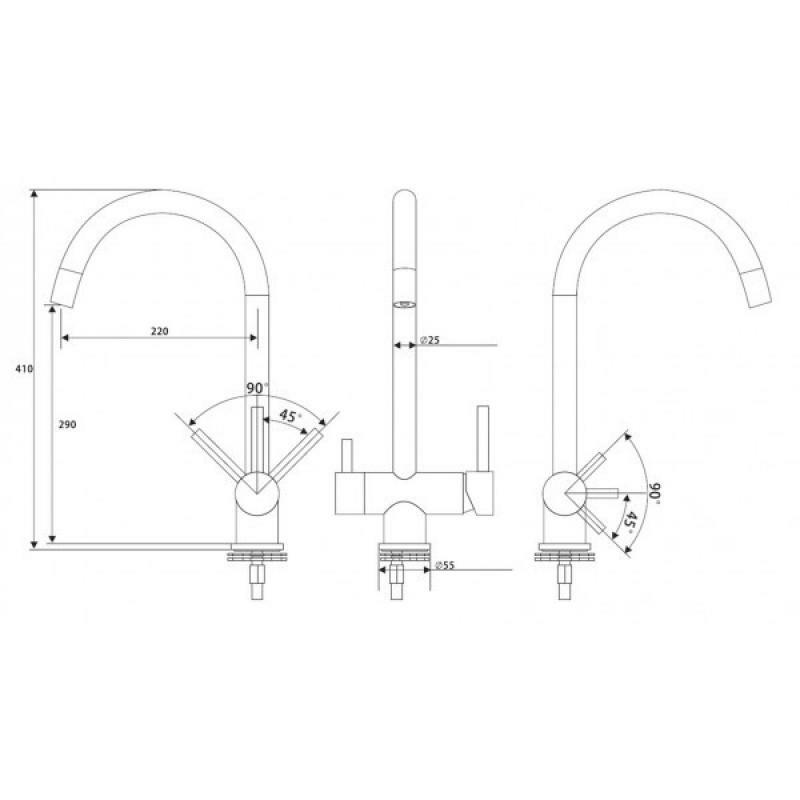 Osmio Ultra-Soft 3 Way Tap Filter Kit: If you are experiencing build up in your kettle, the first step to moving towards a simpler, cheaper solution than new appliances is our Ultra-Soft 3 Way Tap Filter Kit, reducing the build-up of limescale and addressing the scum in your hot drinks. 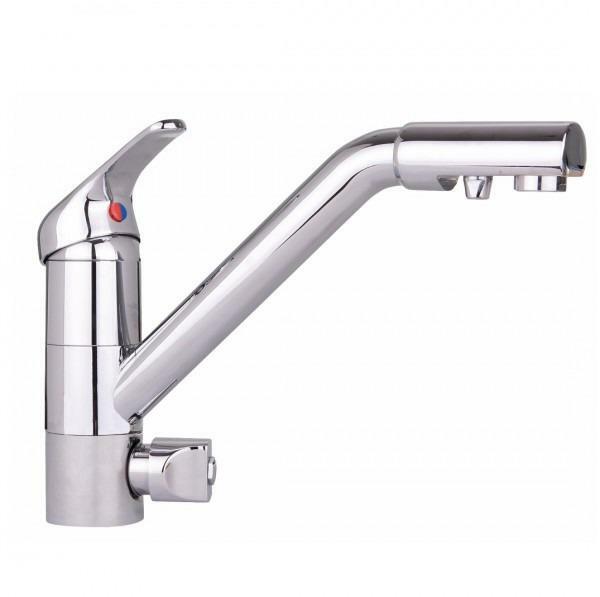 If you are seeking an advanced water filtration system, and are looking for the purest water available, going beyond bottled water quality, providing crystal clear ice cubes, scum-free tea and coffee and clean and crisp drinking water, then the range of systems we have put together,designed for providing safer, healthier water are the answer. 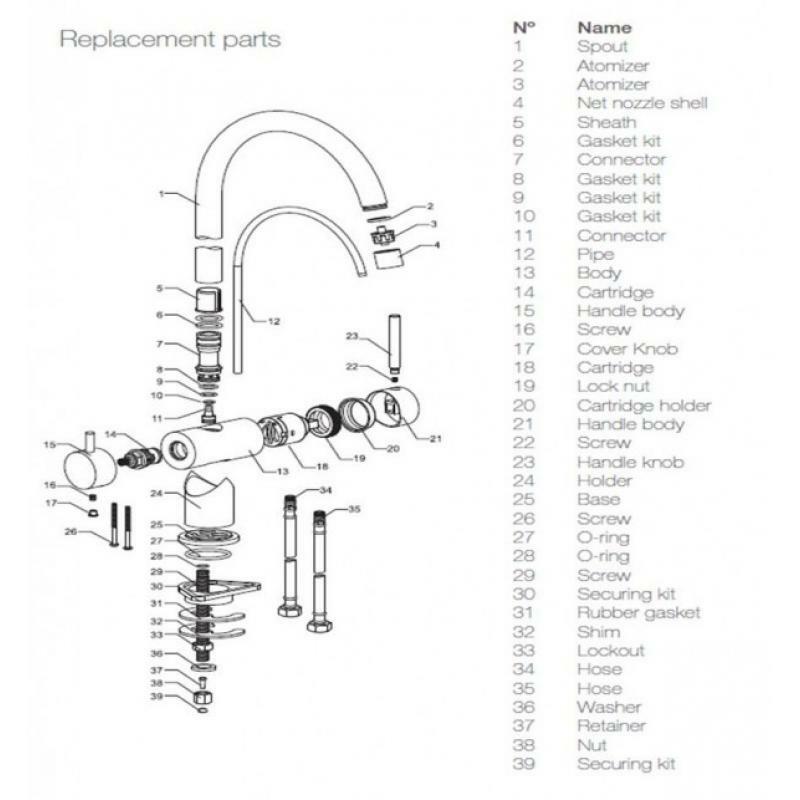 Just as we are able to offer a wide range of in-line water filter systems we also provide a wide choice of Reverse Osmosis systems additionally ranging from our premium economy models to our top of the range systems which you can find more information about below. 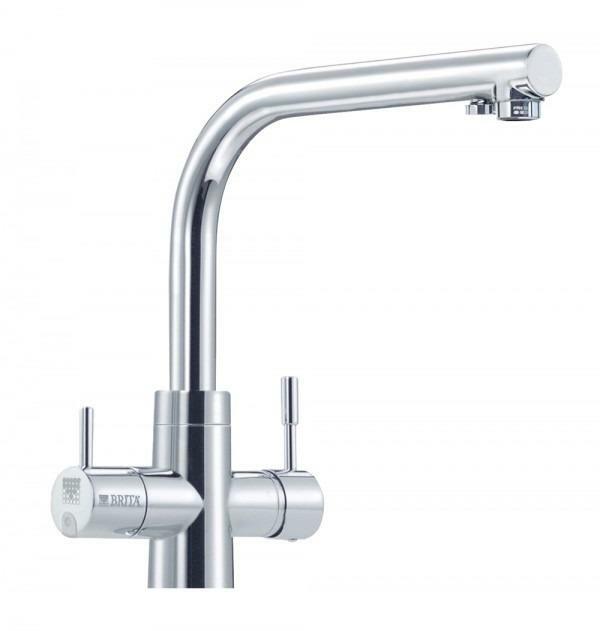 Osmio Black Line Systems: Experience clean, high quality drinking water every time you turn on the tap with our range of black line systems, we offer four different models to choose from, the 5-stage system in pumped or non-pumped which is ideal for water changes in an aquarium and the 7-stage pumped and non-pumped which is a fantastic model for family usage, the benefit for both models is that it provides incredible water without a premium cost. 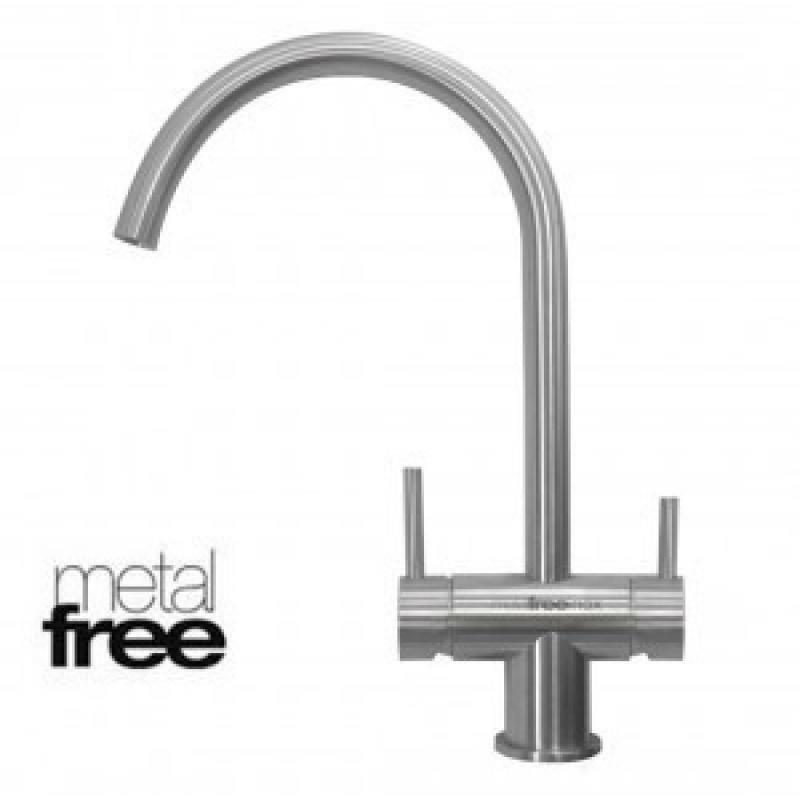 BMB-10 & BMB-20 : Where the quality of life with owning a reverse osmosis system comes to the fore-front, the system is designed on a self-supporting metal stand, which means that you will not need to mount this system underneath the sink, it can move freely and makes for easier filter changes, the filters themselves offer a 12-month lifespan which makes for less maintenance. 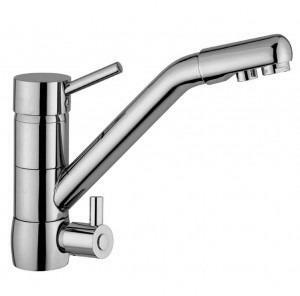 BMB-30 Nova Pro: The highest end of the spectrum is the BMB-30 Nova Pro 9 Stage Direct Flow System, an intelligent system with smart water capability that provides a visual display of your filter life expectancy as well as having an impressive nine stages of filtration, an out of this world product with the added bonus of being direct flow which means that no water will sit in a tank so providing the freshest water possible . 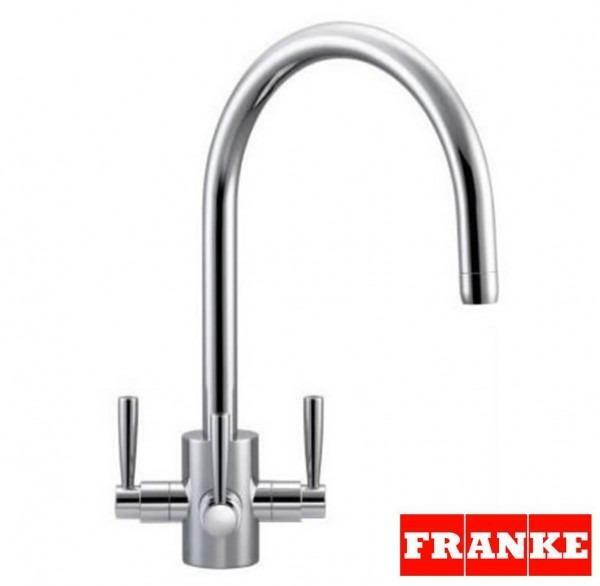 Hot & Cold Water Hoses: 3/8"
NB - as we have not yet tested the flow rate of the hot water under gravity fed hot water systems, we recommend that you buy this tap only if you have a standard pressurised hot water system (like a combi boiler, or any pumped/pressurised alternatives). 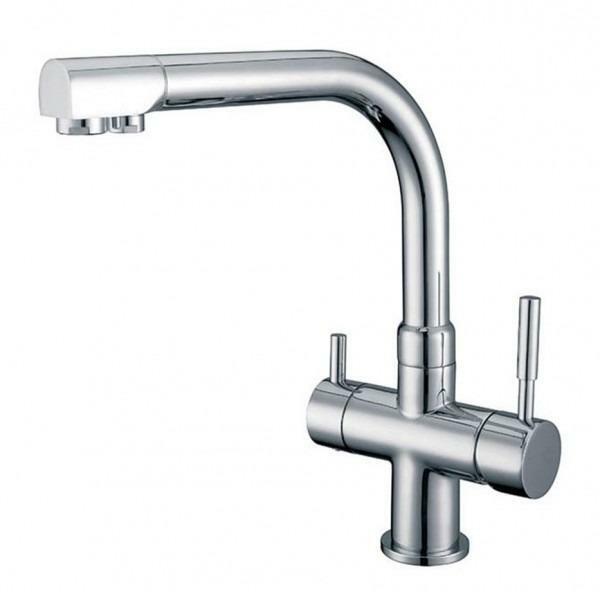 The Ares Inox is a high quality brushed 3 Way Tap which has no metal (lead content). 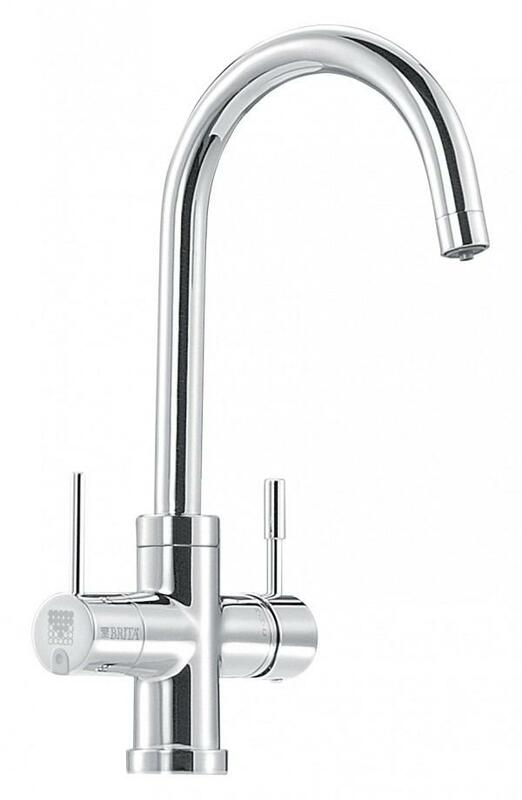 The tap oozes with quality and elegance, making a beautiful and functional addition to your kitchen with the added assurance of the best possible filtered water you can have. 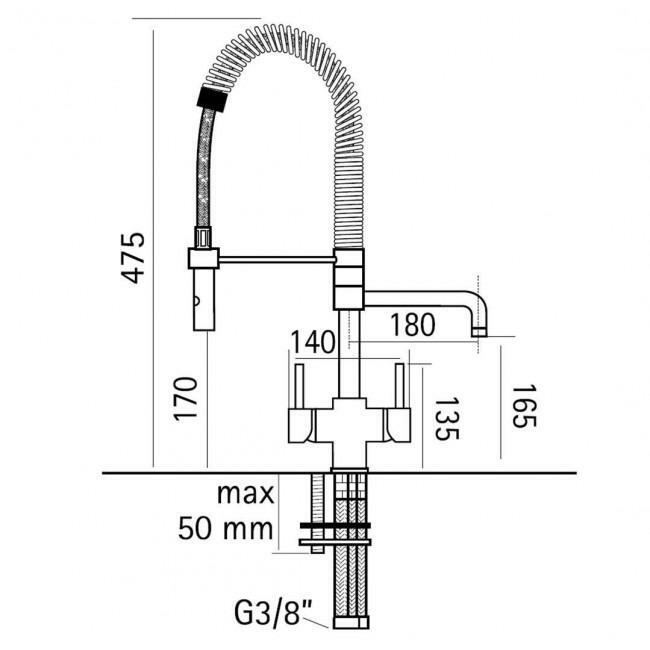 Add 3 Way Tap Adaptor 7/16" UNS to 1/2"
Osmio SCL 3-Way Tap Filter Kit The Osmio SCL 3-Way Tap Filter Kit makes a g..